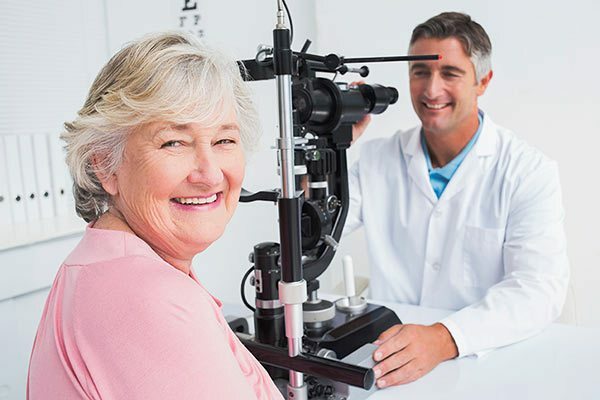 When you visit Eye Physicians of Northampton for a comprehensive eye exam our ophthalmologists and optometrists will evaluate the health of your eyes, explaining each procedure as we proceed. A complete exam includes testing vision with an eye chart, and evaluating the front and back portions of the eye with special microscopes. During our exams we evaluate all patients for the presence of sight-threatening eye diseases including cataracts, glaucoma, and macular degeneration. Comprehensive eye exams may also include measurements for glasses to address focusing errors such as myopia, hyperopia, presbyopia and astigmatism. If necessary, the doctor will prescribe glasses/contacts or update your current eyeglass prescription. Regular and thorough eye exams conducted by qualified and experienced ophthalmologists and optometrists are essential for maintaining healthy eyes and diagnosing or preventing eye disease. Eyeglass prescriptions expire every two years, if a recent refraction (or measurement for glasses) is not done, your eyeglass prescription may be expired and an optician will not be able to make you new glasses until an updated prescription is given. Regular eye examinations with a refraction will ensure that you receive comprehensive eye care and accurate glasses prescriptions on a bi-yearly basis. Should you need glasses or sunglasses we have a wide variety of frames and options available for purchase in our Optical Shop. Click here to learn more. If interested in contact lenses, please mention this when scheduling your appointment so that we may schedule your visit appropriately. Contact lens prescriptions expire every year, if a recent contact lens check is not done, your contact lens prescription may be expired and you will not be able to order additional supplies of contact lenses until an updated prescription is given and the lenses are evaluated on your eyes. When making an appointment with Eye Physicians of Northampton, please be ready to provide us with your insurance information. When you come in for your exam, please bring your insurance card, your co-pay (if applicable), and a valid form of ID. At Eye Physicians of Northampton, our goal is to provide each patient with unparalleled eye care. We treat each patient from children to senior citizens with the dignity, respect, and compassion they deserve. Every time you visit Northampton Eye Physicians, you can feel confident that you are receiving the best care from our experienced eye physicians, optometrists, technicians, opticians and support staff.